Do you need Edge Board Protection? 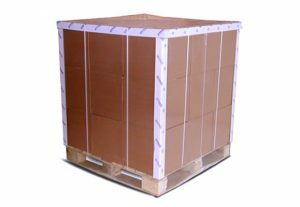 Our edge board protection is a highly efficient and low-cost way of protecting your products during storage and transit. 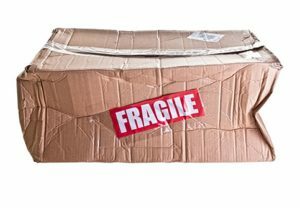 Thus, this happens by preventing damage to vulnerable edges that can result in costly rejections linked to pallet movement or even collapse. Our right-angle boards actively help to avoid pallet rejections, customer complaints, reduce claims and prevent lost orders. Veeboard edge protection can be printed with part numbers, customer logos and phone/email addresses, further adding to presentation and marketing value. Also, we can offer a PE coated water-resistant finish that offers increased strength and security in damp conditions. These water resistant edge protectors are ideal for industries, such as the fruit and vegetable market, garden centres and greenhouses. Veeboard edge protection board provides stability to pallet loads whilst also protecting the vulnerable corners to knocks or crushing. Also eliminating the risk of loads shifting. 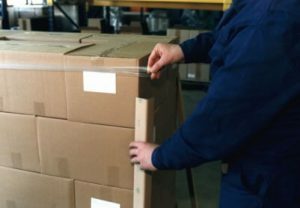 Our edge protectors can be made in various different sizes & thickness’s and are made to length to ensure the solution is tailored to suit your specific requirement.